Sculpture Size: 8 X 5.5 X 3 in. 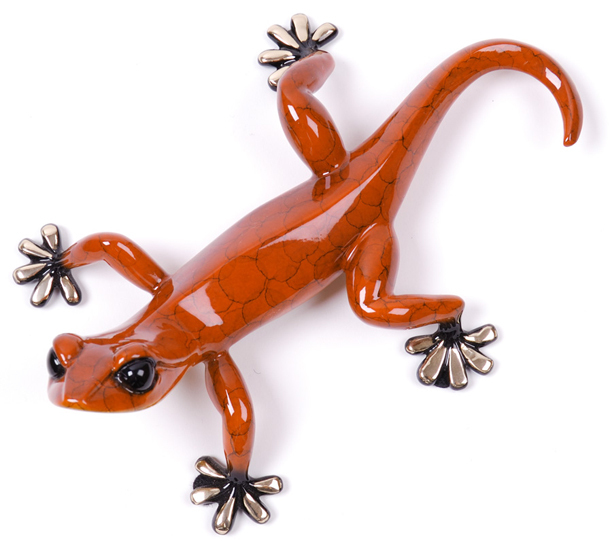 The smallest gecko of them all, “Chico” is a little cutie in a very vibrant orange patina. He’d love to come hang around in any room of your house… Like all the geckos, “Chico” comes with a built-in hanger. Looking for unique one of a kind display ideas? "Chico" fits on a Large Glass Lily Pad. See Display Accessories Section.